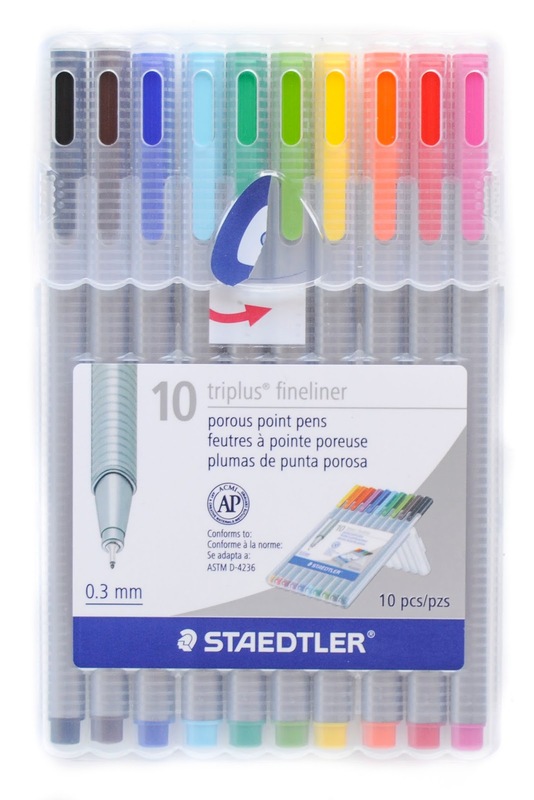 The Staedtler triplus fineliner porous point pens are one of our only sets of Staedtler products. It belongs to my husband. He swears by them. When he draws with them the work is so detailed and colorful. The ink comes out very vibrant and does not bleed through. 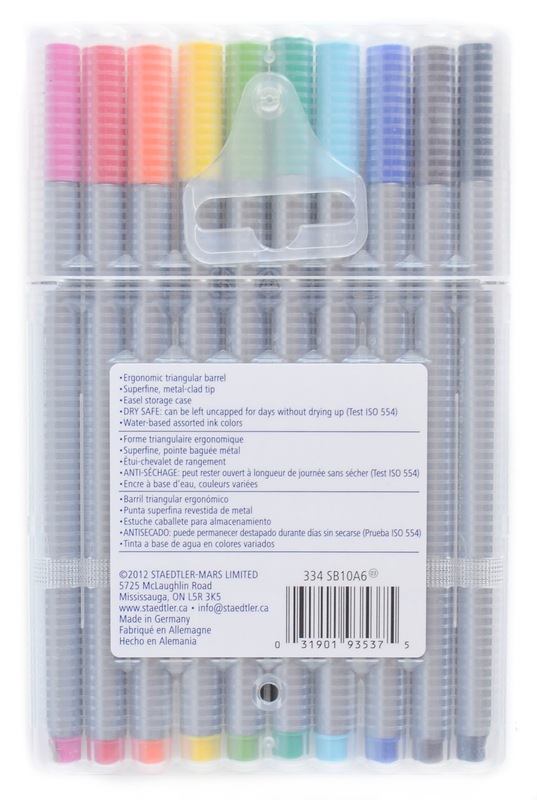 The case is a hard durable plastic and angles back to hold the pens upright. 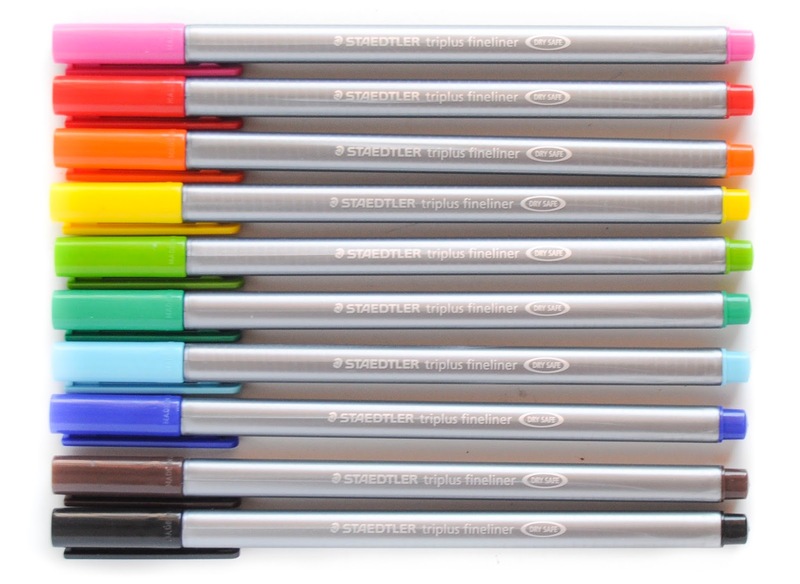 I would love to get some more of these pens and color with them.